In need of a sturdy friend on your desk? 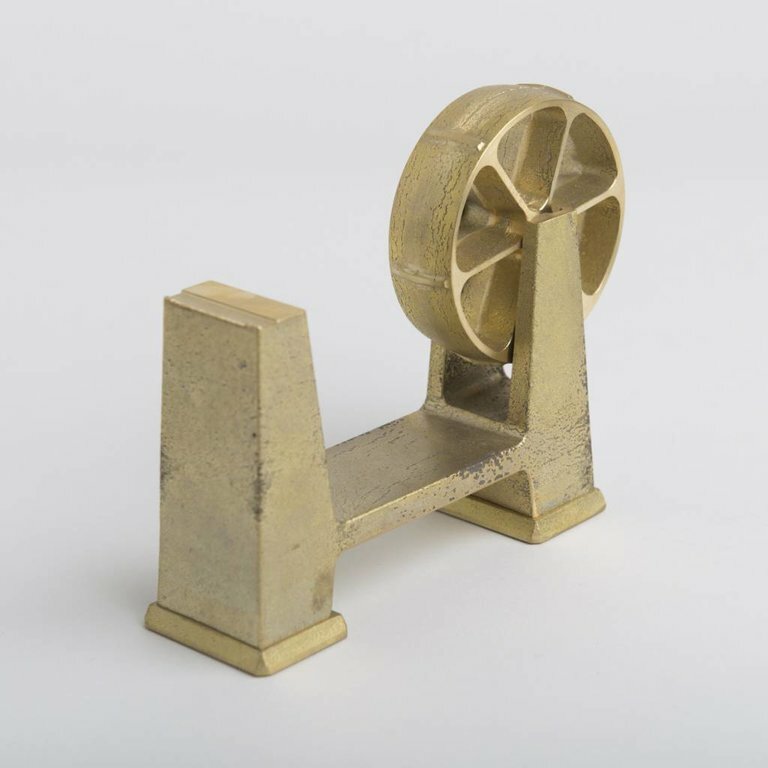 This is a solid brass tape dispenser. Works with tape rolls 75mm in diameter and 15-18 mm in width. The dispenser measures 51 mm (w) x 165 mm (l) x 133 mm (h). PLEASE NOTE THAT THIS PRODUCT IS CURRENTLY MADE TO ORDER AND WILL TAKE A PRODUCTION TIME OF 2 MONTHS. This product is made of solid brass with no pleating nor painting. It has a bright polish at first, but the color gradually gets darker to show a distinctive patina due to oxidization. If you prefer the bright look, you can always polish it to bring back the original color. This product is designed by Oji Masanori, an awarded Japanese designer of household objects. The hooks are made in a brass foundry established in 1897 in the city of Takaoka, Japan. To create the hooks, melted brass is poured into molds made out of hardened sand. The molds are then cracked to remove the cast brass hooks. Then the hooks are filed and sanded to create a semi-smooth sandy and unique surface, called Ihada.